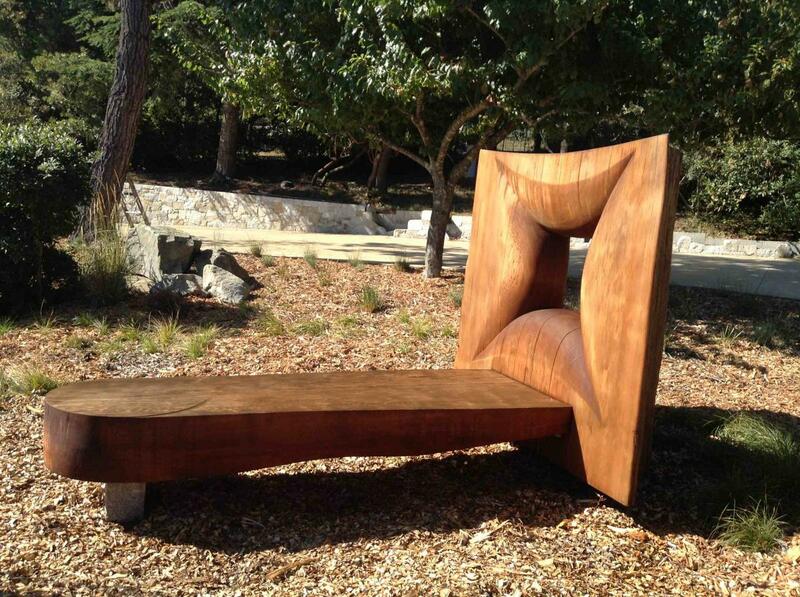 Redwood natural edge slabs are about 3” thick and 48 x 34”. Very rare redwood slabs with lots of Birdseye and curly grain. 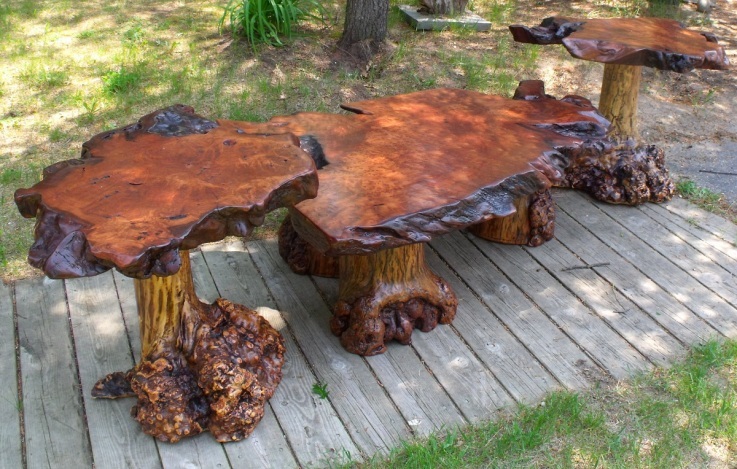 They all sit on top of Maple burls as legs; hand finished with about 8 coats of a satin oil.